Join your fellow members and their fashionable guests for a perfect dose of retail therapy, as we return to Nicole Miller's flagship store. On Wednesday August 24th, the SoHo space will be opening its doors exclusively for SELECT members yet again, to share a private pre-sale of the upcoming 2017 Resort Line, available at an exclusive 20% discount, along with all other lines. 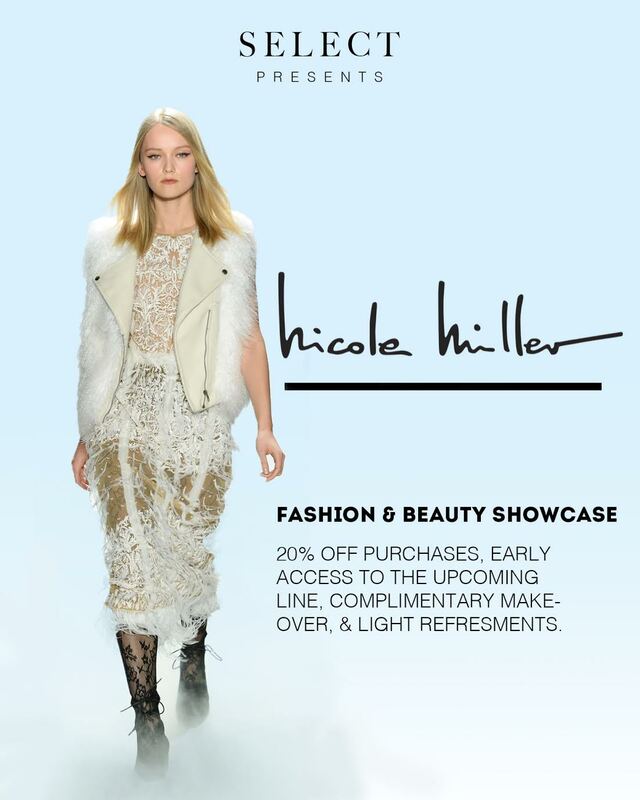 Two lucky attendees will also win a spot at the Nicole Miller runway show in September. Attendees will receive one raffle ticket for each $500 they spend. Beauty experts from Priv will also be on hand to offer complimentary makeovers to all Members and guests. Join us for an evening of fashion and beauty as we enjoy light refreshments, and look forward toward next season's styles!